Thank you for all the wonderful support! 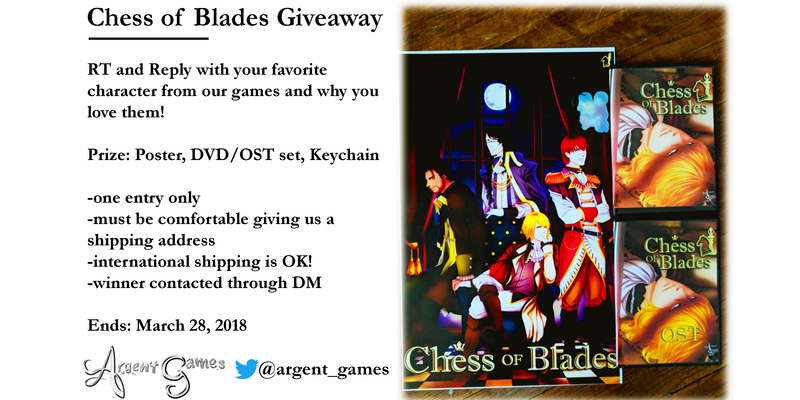 We smashed through a milestone on itch.io, so in celebration, we’re doing a giveaway of Chess of Blades merchandise! Just head on over to Twitter, Retweet and Reply to the tweet with your favorite character from our games and why you love them, and wait for lucky results!